Located at Zoo Road in Ayer Itam, this main branch of Ah Leng Char Koay Teow can be found at a residential housing area and off the main roads. Ah Leng, the man itself, can usually be seen frying his Char Koay Teow during the evenings (the stall opens in the evening). There is another branch located at Dato Kramat Road, George Town which is usually manned by his children. Shot of the famous Chendul stall at Keng Kwee Street, off Penang Road, George Town. 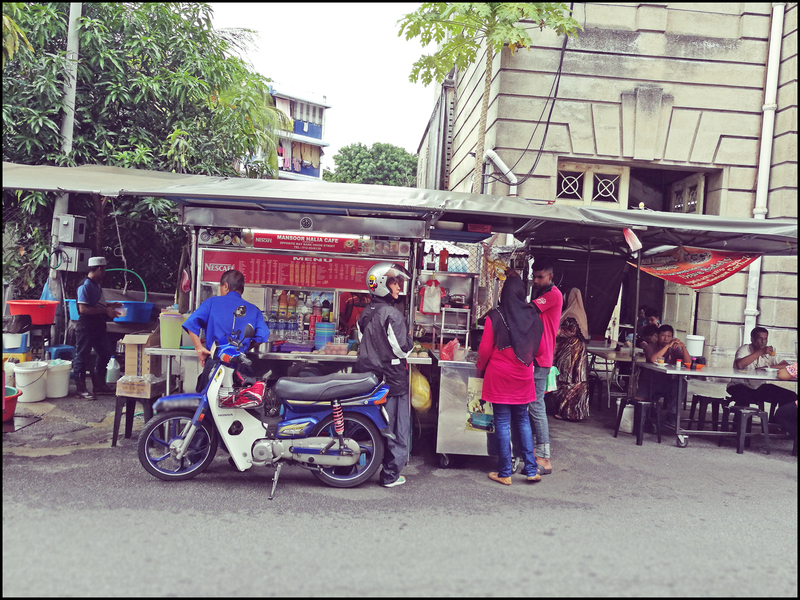 A roadside ‘mamak’ stall selling local breakfast (such as roti canai)at Penang Street in George Town. People queuing up for a bowl of Teochew chendul (or cendol) at the famous stall at Penang Road, George Town. The exact location of the stall is actually along Keng Kwee Street (Lebuh Keng Kwee) in George Town. Chendul is a traditional dessert popular in Southeast Asia, especially Indonesia, Malaysia and Singapore. It is usually made up of coconut milk, jelly ‘green noodles’ and red beans served with shaved ice and palm sugar. 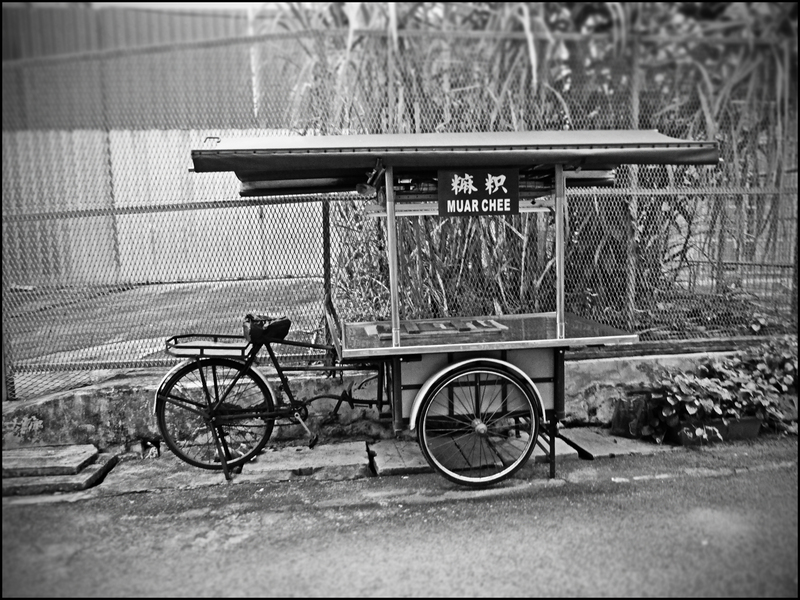 Street vendors in Penang, especially those selling hawker food, normally use a mobile cart such as this for their roadside business.